A fancy collection! Going from the affordables to the premium bottles all the way. Cooler weather got you in the mood for some island vibes? 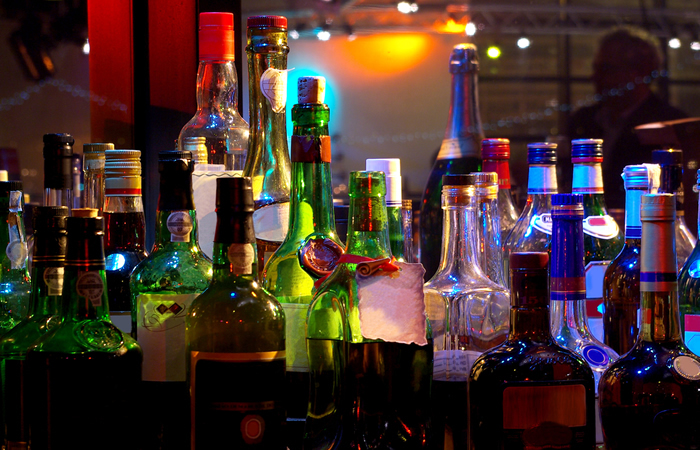 Check out our pro recommendations for different types of rum. Whether you’re on Team Mojito or Team Mai Tai, we think you’ll enjoy getting to know a little more about this delicious, versatile spirit. Say hello to our rum enthusiast, bartender and mixologist Giulio @giulio_bartender_n.3! If you need bright colors to carry you through the upcoming fall and winter months, you will get a steady dose of the vibrant tropics with this one. His Instagram feed is magical. Don’t miss out! Follow him now. A bottle of Havana Club Especial. Giulio takes it easy on your wallet when he recommends Havana Club Especial. He notes that it’s his cheapest rec, but it’s a good quality for a beginner’s rum. It hails from Cuba, and it’s the most commonly used rum in the world. 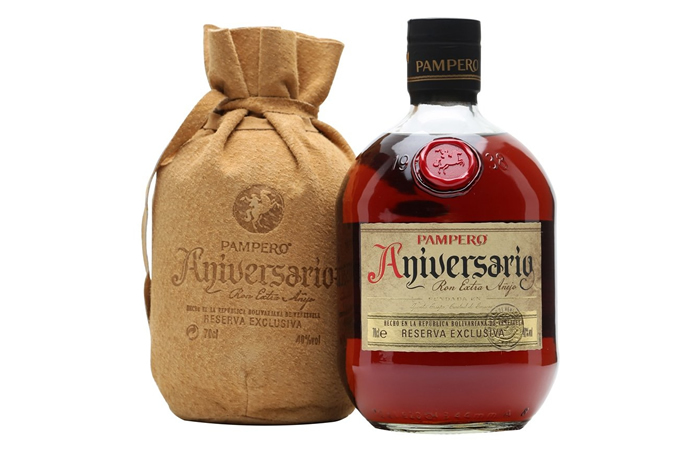 Next up, Giulio says to get your hands on Pampero Aniversario. It’s bringing all the goodness from Venezuela. It’s rich with spices, and you’ll get the incredible, lasting flavor of cacao. Finally, Giulio presents Matusalem Rum Gran Reserva 15 Anni. This rum comes all the way from the Dominican Republic with its characteristic strong and woody flavor. We’re excited to present a more premium lineup for those of you who are beyond the rum beginner’s level. Giulio recommends Zacapa Centenario XO. This particular rum is a stunner from Guatemala, boasting an aftertaste of vanilla, caramel, and dry fruits. If you’re looking to enjoy a rich flavor with a good cigar, you’ve met your match. Further, Giulio suggests Bellevue 17 YO. He notes that this French Guadeloupe rum is pretty difficult to find. He says it’s certainly worth a taste if you know where to search or perhaps have a good friend in the area. Can you handle sweet caramelized fruit, smoke, the sea air, and a warm nutty finish? We believe in you. At last, we come to Demerara Enmore 27 YO. Giulio says it’s a rum for the big-time enthusiasts and, of course, the experts. It’s distilled in Guyana, near the border of Venezuela. 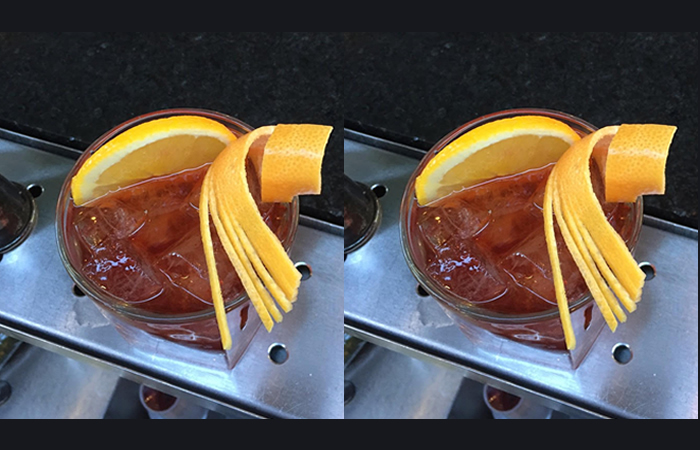 Combine the vermouth, Campari, rum, and bitters (stir or shake) in a cocktail shaker. Fill a small cocktail glass with ice. Run fresh orange peel around the rim for an extra punch of citrus. Strain the cocktail into the glass. Garnish with fresh lemon and orange. We also recommend Liquor.com’s Plymouth Old Fashioned! It’s a great autumnal cocktail bringing the flavors of apple, spice, and everything nice. Most importantly, it’s bringing the rum and the bourbon. Rum-min’ Late to the Party? If you’ve been missing out on the rum party, it’s high time you joined in! If you already consider yourself a rum enthusiast, add your favorite types of rum in the comments section below. We’re always excited to hear from our Prestige community. Before you go, don’t forget to swing into our online shop for a look at our handcrafted decanters and decanter tags! Thanks again to @giulio_bartender_n.3 for his rum enthusiasm! For more from Prestige Decanters and the blog, follow us on Instagram @prestigedecanters. Next Article Halloween Cocktails: Some Scary, Tasty, Tricks!